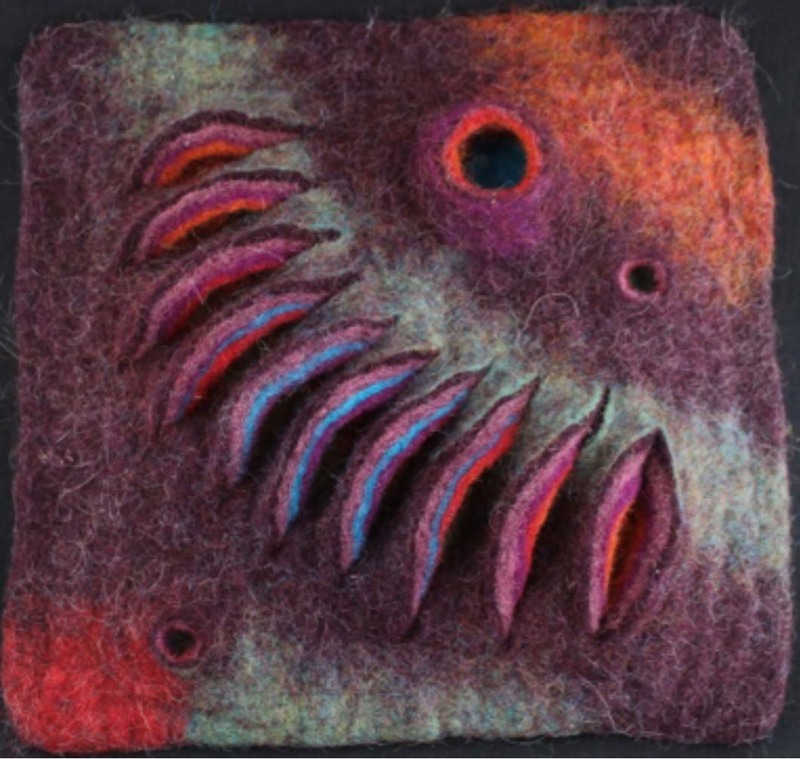 In this two day workshop suitable for those with some felting experience, students will experiment with a variety of wools and techniques to create sculptural pieces; these can be functional or non functional such as hats, containers or bags. Students will learn how to create three dimensional resists and also how to use resists to create surface texture. Depending on the complexity and size of the chosen forms, students should complete at least two pieces.